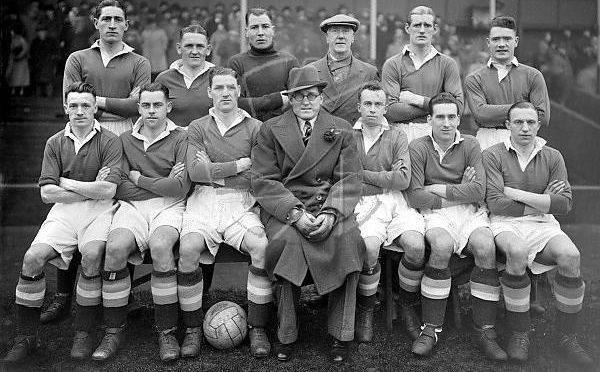 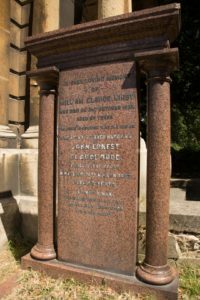 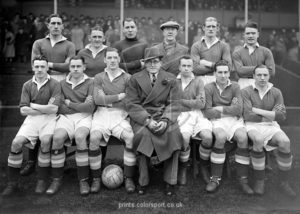 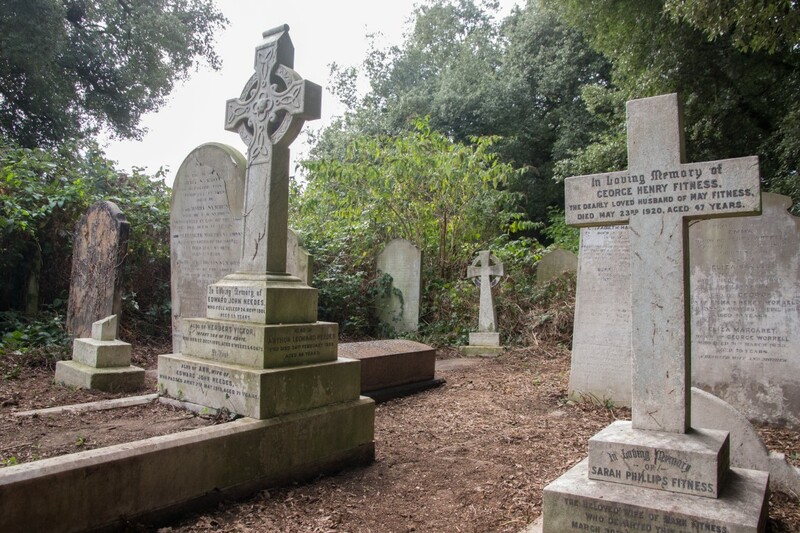 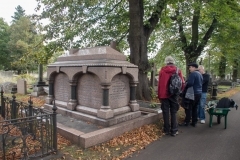 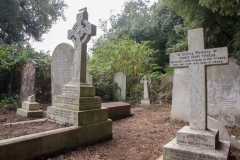 A neighbour of Stamford Bridge, Brompton Cemetery is the final resting place of many significant people who have a lasting connection with Chelsea Football Club, most notably the Mears family, Henry Augustus (Gus) Mears having founded our club on 10 March 1905. 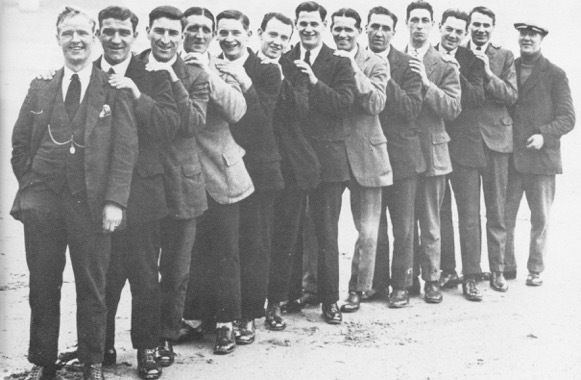 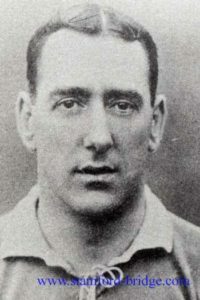 The meeting where the decision to set up the club was made took place in an upstairs room at the Rising Sun pub (currently the Butcher’s Hook) located opposite The Bridge. 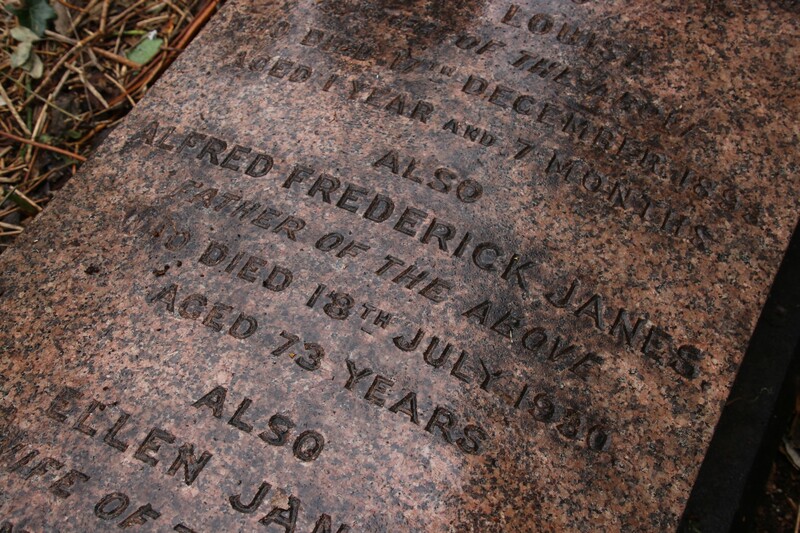 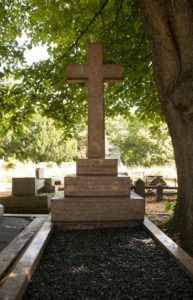 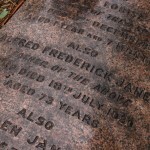 The wealthy landlord of the Rising Sun was Alfred Frederick Janes who, along with other members of his family, is also buried at Brompton Cemetery. 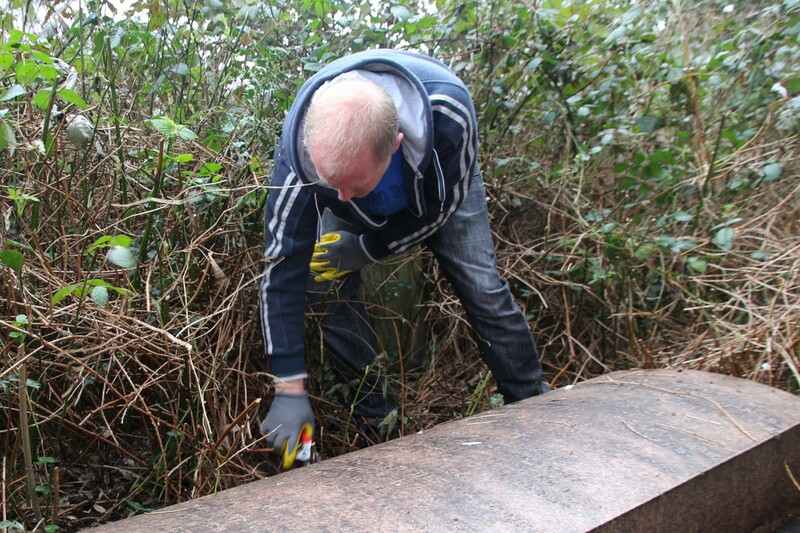 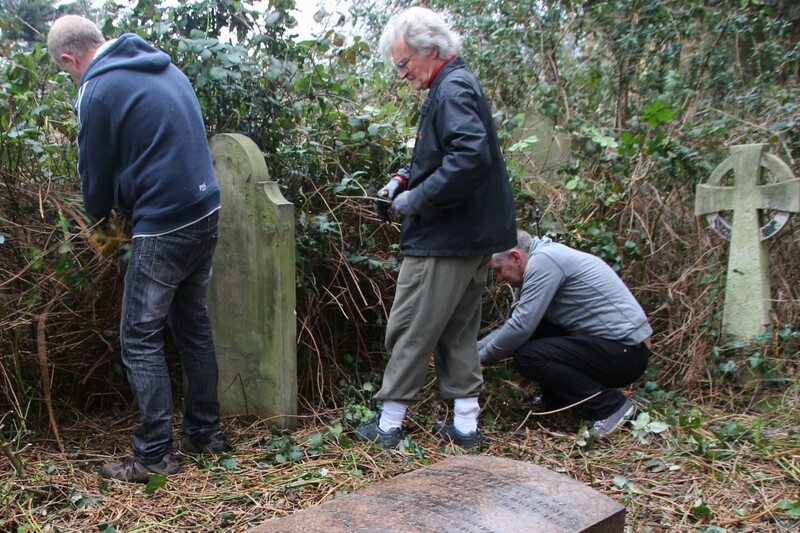 It was this grave that the clear up team paid particular attention to, the site having been neglected for many years and obscured by a mass of overgrowth. 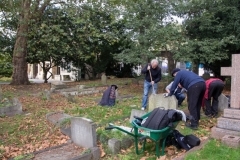 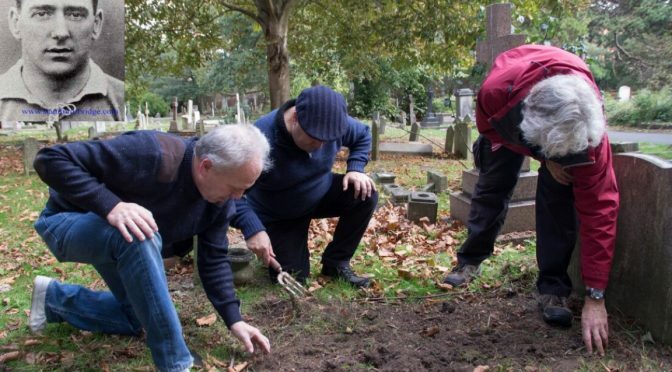 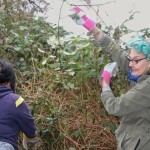 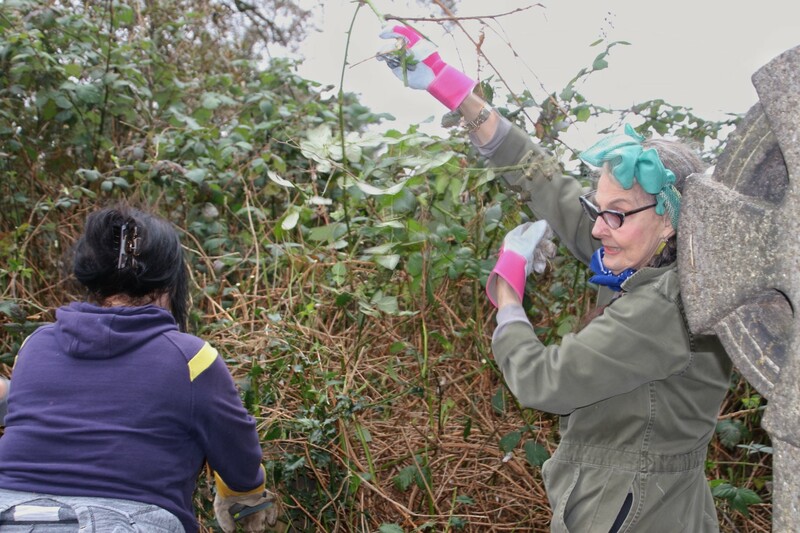 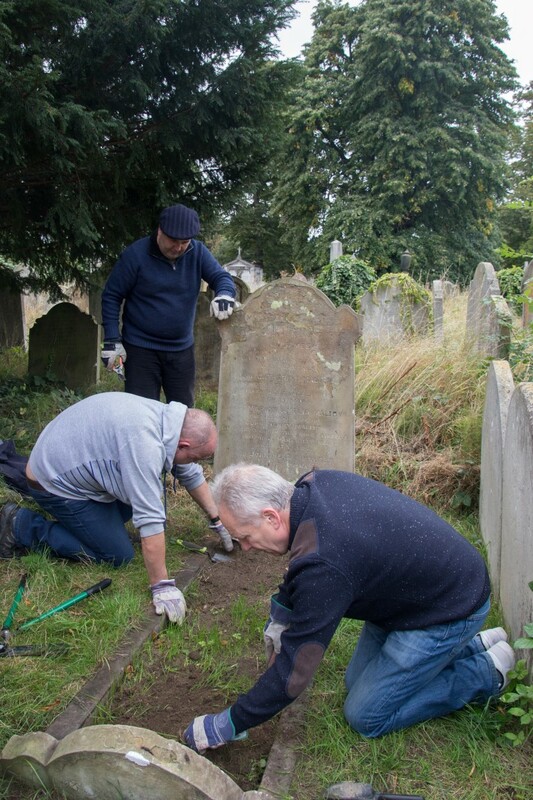 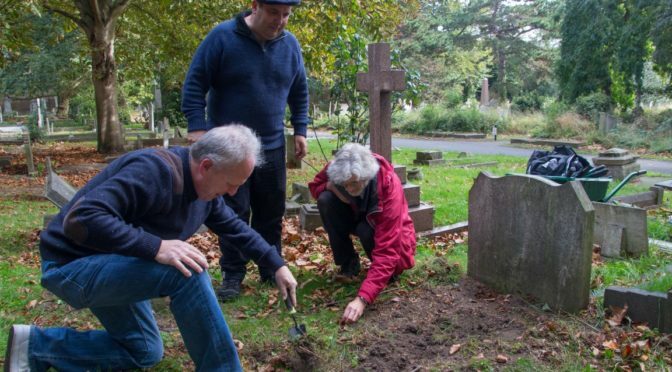 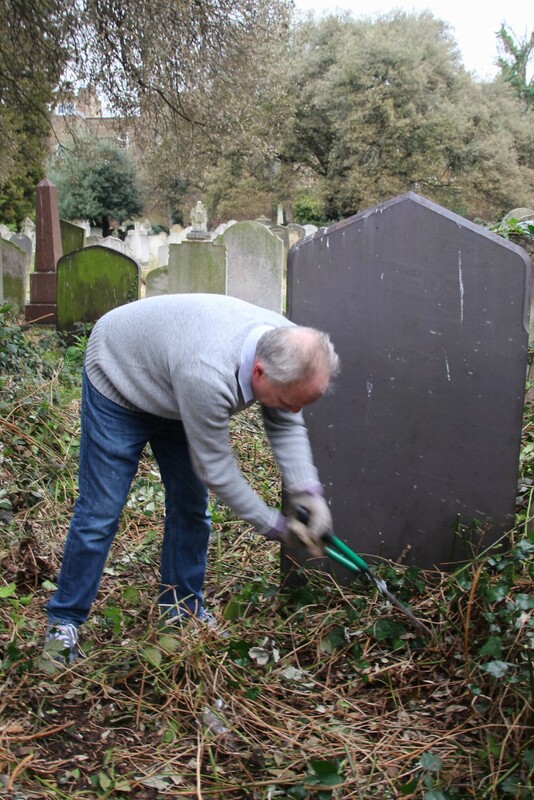 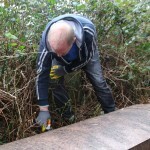 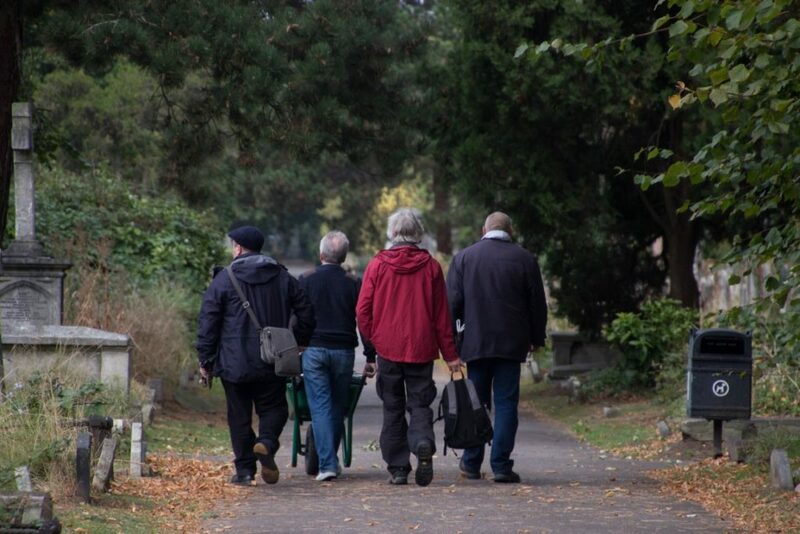 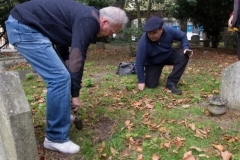 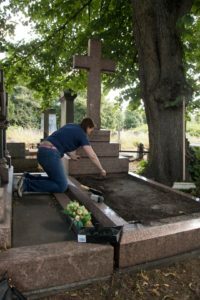 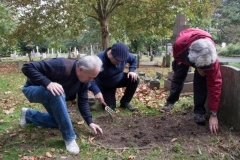 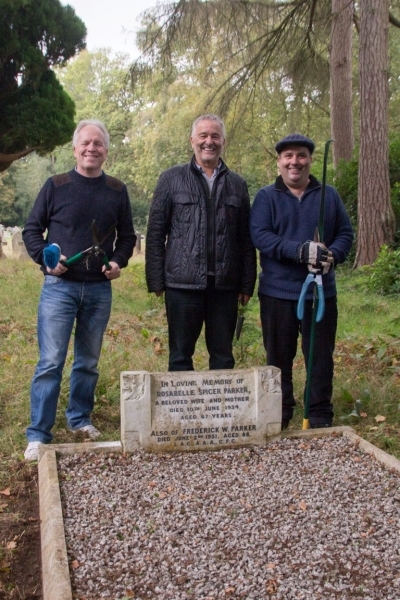 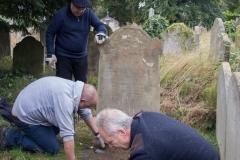 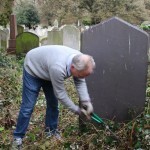 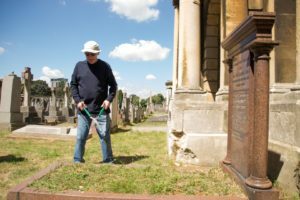 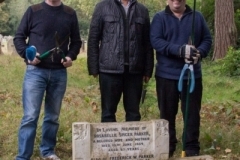 The clear up event was organised by Trust board member Cliff Auger along with club historian and Trust member Rick Glanvill and The Friends of Brompton Cemetery, with Chelsea FC providing the gardening tools. 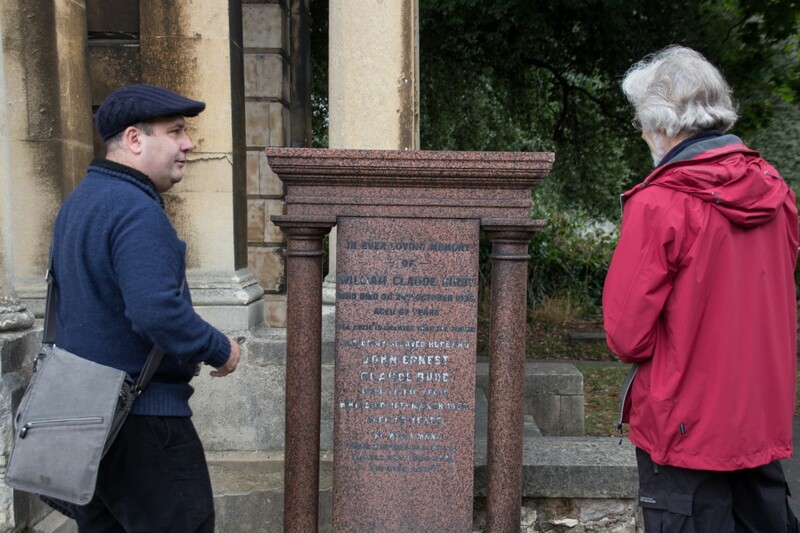 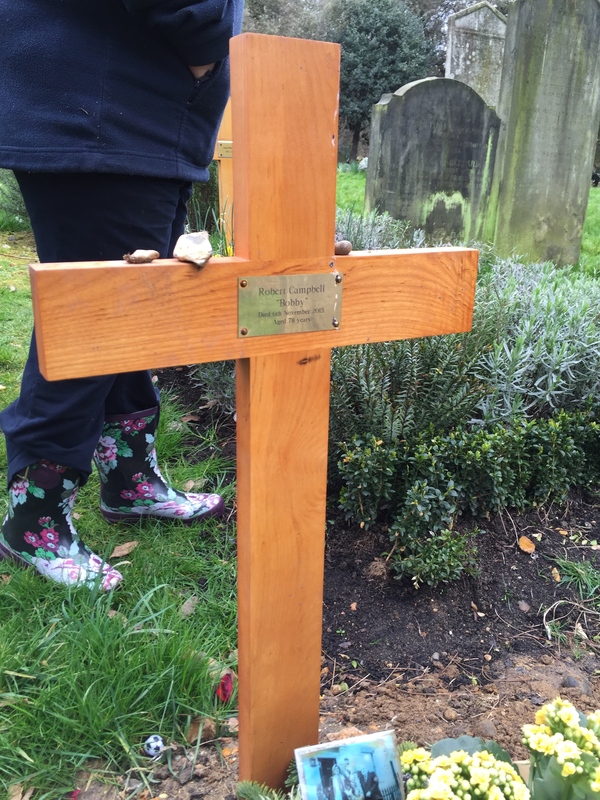 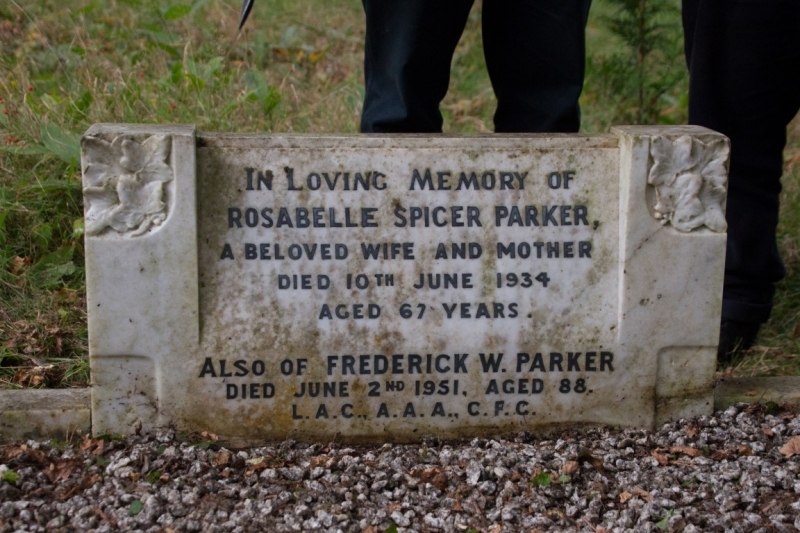 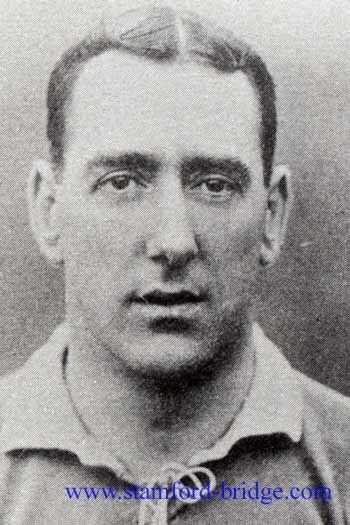 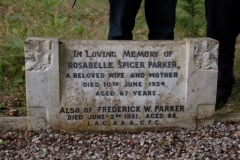 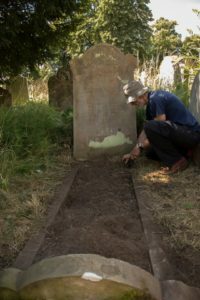 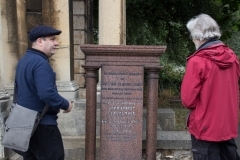 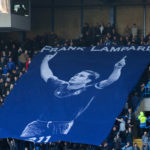 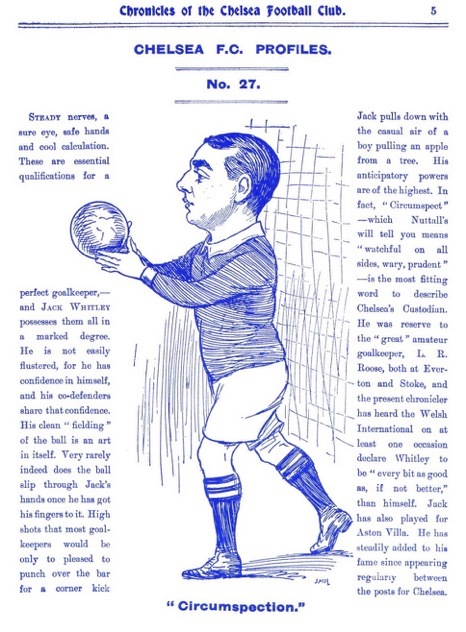 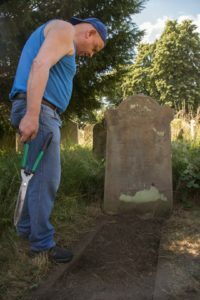 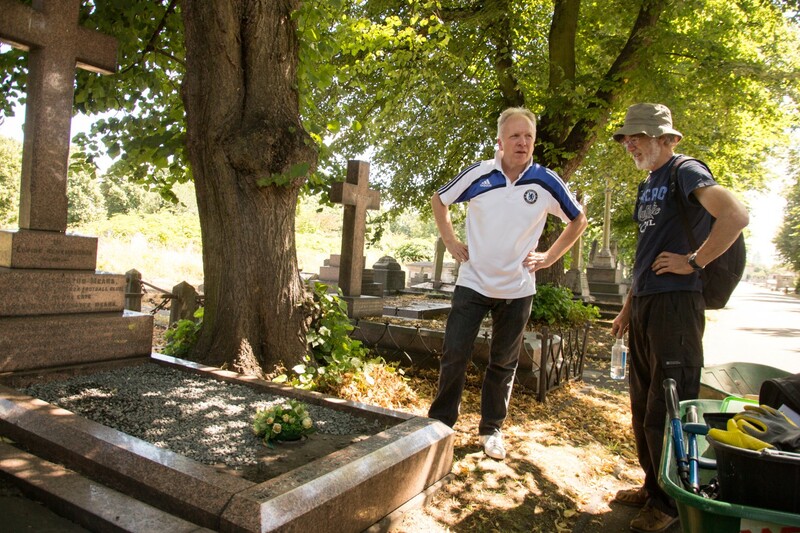 Rick was instrumental in seeking the required family permissions to allow the group to work on the grave, and he has also produced a leaflet charting the Chelsea related history of the cemetery, called Final Whistle: The Chelsea Football Club Trail at Brompton Cemetery. 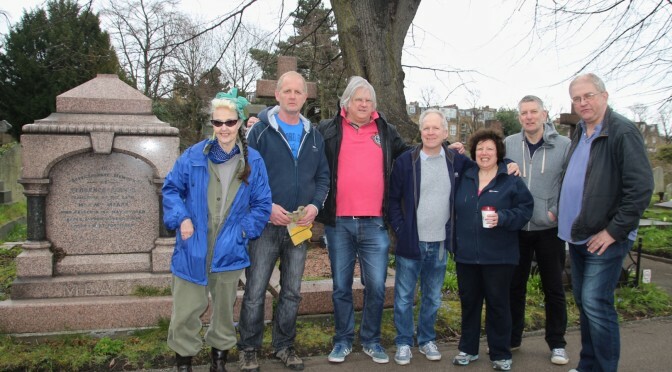 A healthy turnout of 11 willing volunteers helped out on a grey Easter Saturday, including David Beauchamp of the Friends of Brompton Cemetery and Chris Mears, a descendent of the club’s founders. 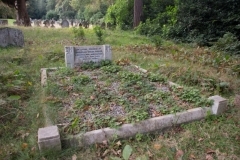 After paying our respects at the Mears family plot, we moved on to the site of the Janes’s family grave and set about hacking our way through the thick overgrowth of ivy and bramble to the point where the surrounding area was sufficiently cleared to allow the splendid looking grave to be accessed and seen clearly once again. 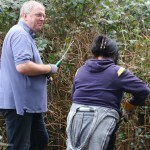 Sustained part way through with hot cross buns baked by Trust Chairman Tim Rolls and a few amusing stories from Chris Mears, the whole team felt they had made great progress before calling it a day, retiring to, where else, the Butcher’s Hook for some much needed refreshment following our thirsty work! 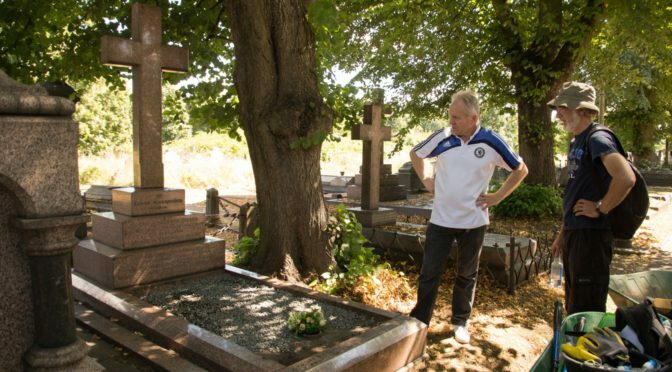 But not before paying our respects at the grave of former Chelsea manager Bobby Campbell who sadly passed away last November. 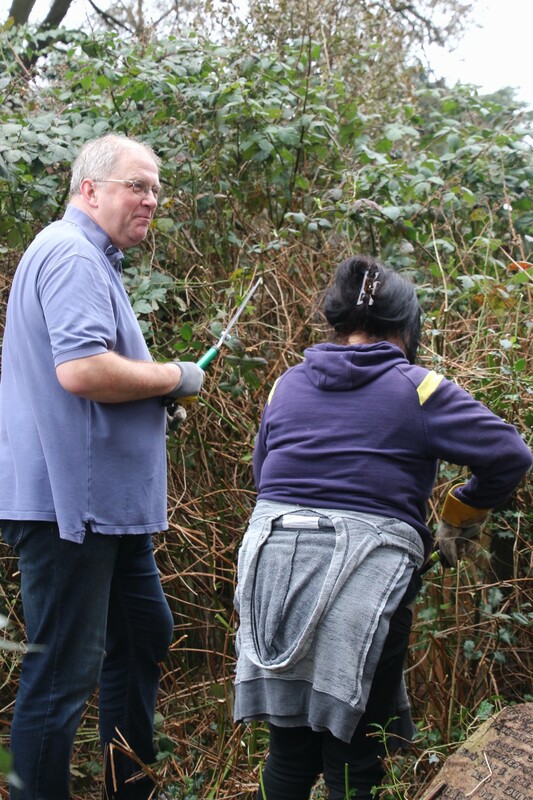 It was a great start to the project and we plan to make it a regular event, the next visit due to take place after the end of this season. 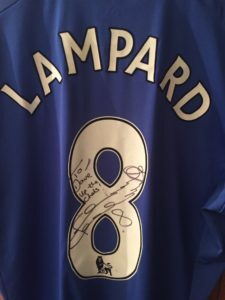 If you would like to get involved please contact us at enquiries@chelseasupporterstrust.com. 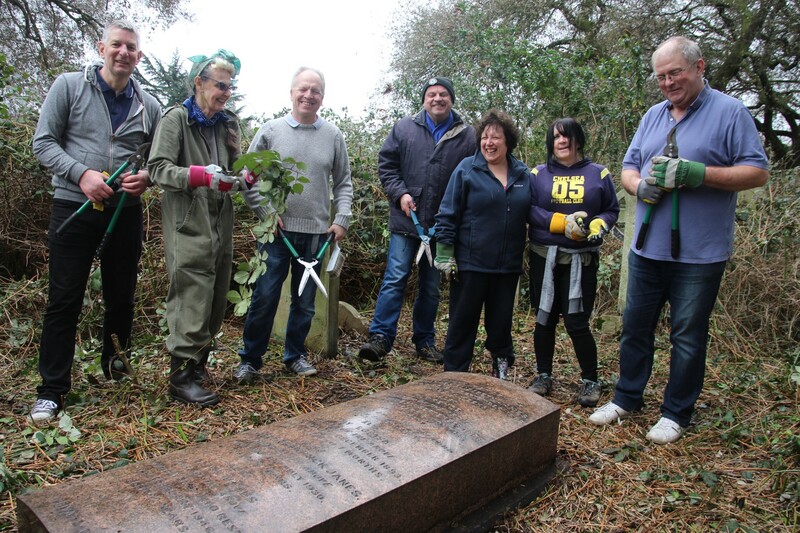 With grateful thanks to our members and friends who came along and helped out; Cliff Auger, David Beauchamp, Debs Coady, Diane Edwards, Steve Hadlow, Paula Harding, Neil Jones (joining us all the way from the West Midlands), Chris Mears, Celia Mindelsohn, Tim Rolls, and Dan Usher.